Sharmishtha Basu@Indie Adda: Tell us something about yourself. Dayna Leigh Cheser: Born and raised in Connecticut, most of my family are writers in one way or another. My mother has some non-fiction books to her credit. One brother worked at the local newspaper for his entire career, working his way up from ‘stringer’ (a reporter paid by the column inch) to Assistant City Editor. My other brother worked as a copywriter for years. My father was an elementary school principal, and reading specialist, who taught me to read when I was just 4 years old – I’ve been reading ever since. In 1967, I met my husband, and married him a year later. We lived in Massachusetts and then, New Hampshire before moving to Florida in 1992. When I retired in 2010, I knew I’d finally have the time to devote to writing, something I always knew I wanted to do. They say that the secret of living a good and long life is to keep your body and mind busy. Being an author does both of those things very well. I’ve been busier since I retired than I ever was before that. Sharmishtha Basu@Indie Adda: Tell us something about your book. Dayna Leigh Cheser: Logan is a minor character from the first book of my series who later demanded his own book. In time, I agreed and started working on his story. Because work on the first book was not complete, plus books 2 and 3 came first, I had to put his book aside while I worked on the other books. It was a while before I returned to Logan’s Time. While it was a long time coming, I finally finished it and it was published in late August. The book is about the life and loves of Logan Conor, the Duke of Muileach. His castle is located in the real-life town of Lochbuie, on the Isle of Mull in Scotland. Logan’s story starts about 30 years BEFORE book 1 begins, but it’s not a prequel. The book, a spinoff, begins when Logan is 7 years old and witnesses the birth of his brother. He’s surprised when his mother and her ladies vacate the castle upon Daniel’s birth, leaving Daniel with a wet nurse. 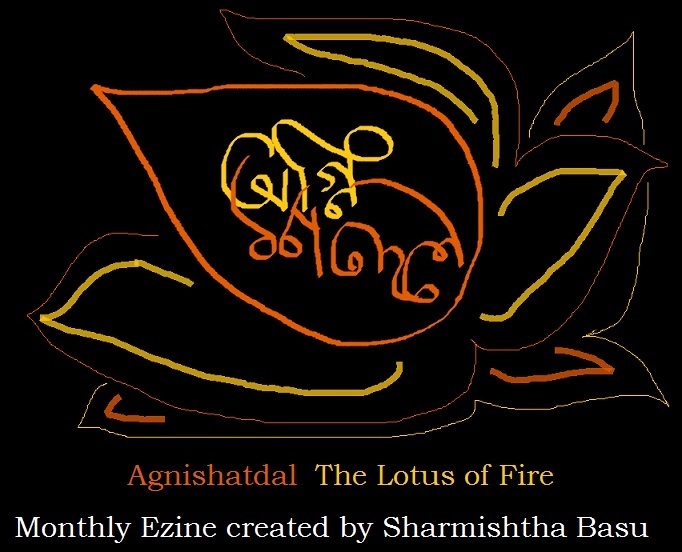 Sharmishtha Basu@Indie Adda: Is it your first novel? No then tell us about them all! Another one following it soon? Dayna Leigh Cheser: Book 1, Janelle’s Time is currently unavailable as I’m rewriting it. Book 2, Moria’s Time and Book 3, Adelle’s Time, are books about Janelle’s twin daughters. Moria knows from a very early age she wants to be a doctor, which in the mid-1800s, is all but impossible. Along the way, she meets 5 real-life characters who influence her life. Adelle follows a different path – being the granddaughter of an English duke, she feels she’s destined to marry a duke and sets about making it happen. 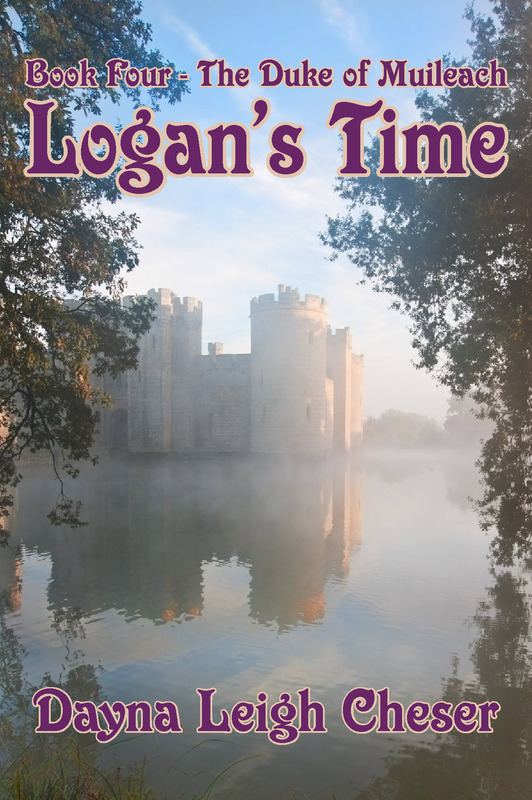 Book 4, Logan’s Time is a spinoff, rather than a sequel, and is mostly standalone. It’s a different locale and a different family, but the two families interact. Still on the drawing board is Book 5, Clarissa’s Time. Janelle’s oldest son meets Logan’s oldest daughter and sparks fly. For it’s time, this is the ultimate ‘long distance relationship’. Damian Gerard is soon to graduate from West Point in the time just before the Civil War, and Clarissa, is a Scots peer by birth. Can this couple overcome their cultural differences and survive being on both sides of the Atlantic? Is there a future for them. The last part of the book is Richard and Janelle’s (Book 1) 50th Wedding Anniversary. My ‘next’ book will be the rewrite of my first book. Then, Clarissa’s Time will wrap up the series. Sharmishtha Basu@Indie Adda: How does it feels to be an author? Dayna Leigh Cheser: This is a great question! There are a lot of variables, depending on how and why you started writing. In my case, I can’t remember not wanting to be an author. But, even with that, when I first got serious about doing it (after I retired), it was overwhelming to discover what I DIDN’T know! But, immersing myself in it, I soon became more confident, not only in my writing, but in the whole writing life. While I still don’t know all there is to know, and likely never will, I know search engines are my friend – you can find answers to almost any question/problem there. Sharmishtha Basu@Indie Adda: Any suggestions for wannabes? Dayna Leigh Cheser: Write, write, write, as much as you can, as often as you can, even if you never publish most of it. Find a site that provides ‘writing prompts’. Pick a word or phrase and write something from that. It’s impossible to ‘practice’ too much. And, if you haven’t started already, start developing your online presence. Not only do most publishers at least encourage that, most require it, social media will likely be your fan base as you get started. If you don’t already have a writing-related blog/website, learn all you can and start your blog or website/blog as soon as you can. If you plan to use a pen name, now is the time to choose one and start using it. Set up social media accounts in that name. Hint: Google your chosen name to see if anyone else is using it. Be unique. If you’re serious about your writing career, be it full time or part time, treat it like one. Learn as much about the publishing industry as you can. Subscribe to author’s blogs, trade newsletters and any other site that can help you navigate the waters. Join writer’s groups and find a mentor. Sharmishtha Basu@Indie Adda: From where can we buy your book (s)? Dayna Leigh Cheser: My publisher has a wide distribution list – thousands of locations – but these are the most recognized of the outlets. Buy Logan’s Time by Dayna Leigh Cheser (ISBN: 9781524621728) from Amazon’s Book Store. Free UK delivery on eligible orders. Sharmishtha Basu@Indie Adda:. Do you blog? Can we read your works there? Give us the url! Dayna Leigh Cheser: I have a website/blog – DaynaLCheser.com/ – with dozens of pages full of information, including free chapters of each of the books, character interviews, excerpts, and more. From there, I also do author interviews (‘DIY Interviews’) and book reviews (‘Reviews by Dayna’). My blog, ‘Posts by Dayna’, is updated on Monday and Thursday mornings (most of the time). Set in the wilds of the Scottish Highlands, this 19th century historical romance looks at the life and loves of Logan, the Duke of Muileach, beginning when he’s seven years old. Grandson of the old Duke, Logan hides in his mother’s room to witness his brother’s birth. Confused, he watches as his mother, Annella, abandons the newborn, flees to the South Tower, then locks herself and her entourage inside. After eight self-sequestered years in the South Tower, Annella disappears, leaving a family with too many questions. Later, Logan and Daniel lose their beloved grandfather, followed too soon by their grandmother. Logan travels to England to attend school, where he meets Richard Grayson—the youngest son of an English duke. After graduation, a celebratory trip to Paris results in tragedy. Minuet, the love of Logan’s life, may be dead, while his best friend, Richard, leaves Paris without notice. Peadair, Logan’s father, then the duke, renounces his title and leaves Muileach, to face an uncertain future in southern France with his long-missing wife who despises him. Logan, at age twenty-five, becomes the Duke of Muileach. Believing Richard had betrayed him with Minuet, Logan needs to square things with his former friend. He learns Richard now lives in America. Setting sail to Portsmouth, New Hampshire, he arrives just in time to crash Richard and Janelle’s wedding. That same day, he meets, and marries the new love of his life. Too long absent from Muileach, Logan returns to Muileach with his family to discover Seanna, a childhood friend, and sometimes lover, has birthed his first-born son. Later, Seanna reveals her plans to make sure her son is the next duke. fourth book of Dayna Leigh Cheser’s TIME Series. A fantastic fiction placed in ancient Scotland. The story of a young woman who has been forced to marry a man against her will, actually the way she was forced to marry him was quite painful! Believe me! Finally, after giving him his second heir she escaped, leaving behind his heirs, her sons with him, one at first thinks that it is a little cruel for the mother to desert the child then one is shown that phase, when this young woman was forced to marry the Duke, and any independent minded woman will realize she did not had any other choice, back at that age, when women were their father’s property before marriage and husband’s property after that! It is one of those stories which have a strong aroma of classic. From the very beginning it will grab your attention, if you love historical fiction. I absolutely do! It is a story told with great expertise about an era long gone. Story of Logan, his childhood, its tragedies that were quite cruel for a child, a little too much for a normal person I will say that to you, cant spoil your suspense so I won’t go into details, you will know and most probably agree with me, that they were a bit too much but were never surreal, they could and I am sure still happen! How they created his personality, a rough, quite brutish man, yet there was tenderness in him, a loyalty that was quite admirable. The way his beloved’s loss of beauty and health did not affect his devotion, his love for her stayed absolutely unchanged, though she has lost all her looks and health, his love for her was really heart-warming! So beautiful that I at least felt lot less angry with him! He is not mister perfect but Logan certainly has his very strong plus points, that makes this story even more enjoyable, I really liked the way he listened to the man he hated with all his heart and soul and was about to kill, and realized that it was not he, he himself was his own actual cause behind his own torments. I believe very few people have that power, to accept and admit own fault, after blaming someone else for years, falsely! It is Logan’s story, and Dayna created his character brilliantly. He will stay in mind for some time at least! The sweet turn of the story was quite a joy in today’s world of tragic stories, where love simply seems not to exist. I love the stories with second chances! Where a person loses his/her love, and then finds it in someone else, and starts life afresh with that person! I will say this story is a thoroughly enjoyable read for those who love romantic stories and those who love historical romances, or love to know about other countries, their ways and lives, like I do! I rather loved the way Dayna gave the story a very positive turn when I was absolutely sure that it was about to become very ugly and dark. Just loved the sweet turn the story took, right at the brink of destruction. Sorry, am a big fan of positive stories, I think real life is gloomy enough! We have news channels if we want to mope, a little joy, cheer, positivity is quite good for our health these days! We often turn to books, movies and music for those moments of respite and cheer. I was happy that Logan’s Time fell in that category. I love the way Dayna spoke about Scotland, I have read a few classics about Scotland, and somehow her story just rhymed in with them, it reminded me of a novel Catriona i have read as a child, as for her mistakes in narrating a Scottish tale, I found none, most probably a Scottish can tell them, if there are any! Her description of the Duke’s castle, his tower is very cool! The way she spun a story bringing in different countries and continents, their cultures was quite delightful, especially for a writer like me, who clings to familiar, the way she created scene after scene one will think She has actually visited those places! In the end I truly wonder if anyone will NOT enjoy this story. It is a great story, told in a fantastic way! I really don’t think you will regret if you buy it, it is a book for keeps. I am planning to read it as soon as I can again.